Could the signing of Virgil van Dijk be a sign of things to come for Liverpool? Having splashed out on the Dutch defender, the Reds have been tipped to follow it up. As noted by BBC Sport, the Merseyside giants splashed out a whopping £75m on Van Dijk as the Dutchman was unveiled as a Reds player on Monday. Further, as per the club’s official site, midfielder Naby Keita is set to arrive from RB Leipzig in the summer too as Jurgen Klopp is seemingly adding the final building blocks to make his side a real contender both domestically and in Europe. Their form in recent weeks has suggested that they are well on the way to doing so, and with Van Dijk now offering defensive solidity and organisation at the back, they’ll hope to pair that defensive improvement with the irresistible attacking threat of star quartet Philippe Coutinho, Sadio Mane, Mohamed Salah and Roberto Firmino. It feels like a breakthrough of sort for Liverpool as this could be the pivotal moment they stamp their mark and try to compete with the likes of Man City, Chelsea and Man Utd at the top of the table for the Premier League title. 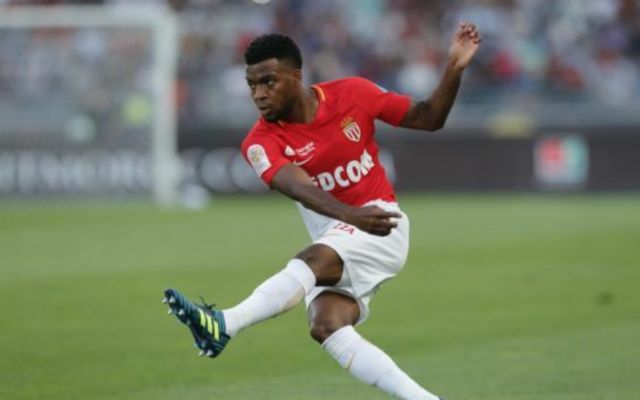 The Daily Telegraph’s Jason Burt believes it could also be a sign of things to come off the pitch too, and has hinted that they could follow up their spending with the capture of Monaco’s Thomas Lemar next to show that they can battle it out with the other big spenders in the top flight. “You have Naby Keita coming next year, you possibly have Thomas Lemar coming next year and they are moving in that direction now,” he told Sky Sports’ Sunday Supplement. Given how much they’re spending, it could be argued that they would have to balance that with sales too with Philippe Coutinho continuing to be linked with a move to Barcelona. The Independent claimed last month that Liverpool target Lemar could command a £90m price-tag in the January transfer window, and so if they are indeed looking to strengthen their squad further with the Frenchman as Burt has predicted, then they will have to splash out big money again.